Cutting It Up - A downtown Los Angeles loft gets a makeover. Stainless Chef - Designer John Picard finds a sanctuary with a high-tech steam oven and a hand-carved tub. Victorian Revival - A San Franscico couple is the inspiration for a dramatic culinary renovations. Trend Diva - Jane Szita talks about nesting and nihilism. 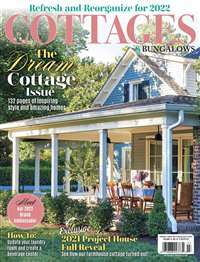 Other interesting articles include information on houses that become art, short reviews for books on subjects such as living in a small space. I was intrigued by the house designed with mostly windows on page 45 and high tech enthusiasts will also love features for speakers or CD changers which are most modern. Well, until I can afford a 9,500 buck oven, I'll keep reading and dreaming. The library in the April/May issue is to die for! Big windows and shelves galore. Dwell is a magazine designed to inspire and inspire it did! Even some of the text is in color. The Marketplace section gives you a wealth of sources to encourage you to start on your own dream design, house or otherwise. The sourcing section also provides page by page information on sources. Dwell is a unique (in my opinion) magazine and I like that. 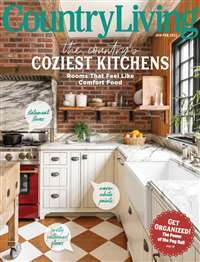 Unlike many if not most magazines that revolve around home design, this magazine does so with environmental concerns in mind as well as style. And as someone who appreciates the less is more mantra, I like the fact that the magazine shows off abodes that are small yet spacious. Like in the April 2006 issue where Aloft in the Forest, where an urban yet forest feel loft style home on a compact lot are shown. Using easy and affordable ideas for the interior elements. Yes, the magazine has ads, but to their credit they must screen clients so that what ads are there, fit the style of the magazine. No fluffy dust catching junk. The advertisements are consistently relevant and interesting, and the magazine is good at keeping its edge with articles about relevant home furnishings, appliances, and other items that are frequently overlooked in other design magazines. I love the "Modern Market" section in the back of the magazine, dealing with unique products that are well targeted to the fan of the contemporary aesthetic. My only minor complaint is the occasional political agenda that appears in the articles, but it is relatively infrequent and confined to only a few (of a large number) of the contributors, like Pagan Kennedy. In general, though, the articles stay on topic and the editorial content is relevant and appropriately focused. I look forward to getting several design magazines every month, but can honestly say that "Dwell" is my favorite of the bunch. I highly recommend it to anyone interested in contemporary architecture or design. I subscribed to a couple furniture/design magazines last year, and this is the only subscription I kept. I had Metropolitan Homes, but while it had nice pictures, etc it did not have the polish of Dwell. Dwell is a designers magazine, with a heavy focus on typography, great layouts, and an overall joy. I've kept every issue and look back at them for design inspiration (I'm a web designer). I appreciate the quality of this magazine. Dwell was introduced to me by another architecture student. It is informative for many of us are concerned with green building. If you are looking for one interior magazine, this is it. I have subscribed for 3 years and every issue is very good. I love buying magazines on interior design and architecture. I may not be trained in it or even working in an industry that is related, but I just love reading about it. Dwell is by far my favourite choice. The features are beautiful and practical unlike some magazines where you look at them and say "wow, that is pretty- but i would not want to live there". I don't know that you have to subscribe to Dwell for the rest of your life, but at least hook yourself up for a year or two. It will change the way you look at things, the way you live... the modernist sensibility, and the practical (and, all right, sometimes not all that practical) applications in its pages are completely eye-opening. Whether you live in a modern home, want to put a little modernism in your apartment, or live traditionally but are a bit of a dreamer, this is really something special. I have every issue ever published. 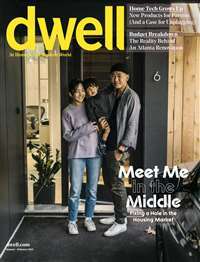 It may not have a research/academic emphasis or super detailed drawings like "Detail" magazine or "Architectural Review" but Dwell is just an all around good magazine for inspiration, information, and generally an experience that feels good. dwell has great articles about buildings from all over, I love their forward and green thinking.